As a pioneer in preparing students for exams, Stanley Henry Kaplanwas an important figure in the history of American education. Started as a tiny tutoring operation in his basement in New York City in the late 1930s, Stanley Kaplan transformed the Stanley H. Kaplan Educational Center into Kaplan Inc, one of the world's most diverse education providers and the largest subsidiary of Graham Holdings, formerly The Washington Post Company. Today, Kaplan operates in over 30 countries and maintains relationships with more than 1,000 education partners, 2,600 business clients and has over one million students and more than 15,000 employees worldwide. Kaplan's three entities in Singapore, namely Kaplan Higher Education Academy (KHEA), Kaplan Higher Education Institute (KHEI) and Kaplan Learning Institute (comprising Kaplan Financial and Kaplan Professional) serve more than 30,000 learners from across 30 countries worldwide and it is the only education provider in Singapore to be awarded the 4-year EduTrust certification for all three of them. This certification is awarded by the regulatory body of the private education sector in Singapore known as the Committee for Private Education (CPE), part of SkillsFuture Singapore (SSG). "We are focused and committed to helping individuals achieve their educational and career goals. At KHEA, we offer a wide range of more than 200 programme choices across seven varied disciplines. 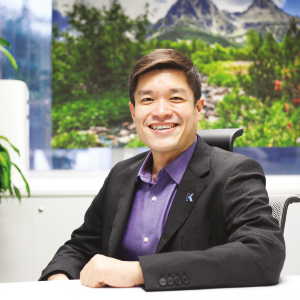 They range from Diplomas to Bachelor's and Master's Degrees," says Leon Choong, President of Kaplan Singapore. Prospective students can look forward to achieving their recognised Bachelor's Degree within 2.5 years given the short breaks between terms. The shorter completion duration will allow students to embark on their careers earlier and save on their living expenses, as a foreign student in Singapore. The institute provides one-stop dedicated services for the international students. They ensure students are well-settled in order for them to focus on their studies. Kaplan Campus Life supports students at Kaplan. Together with students across diverse nationalities, they can participate in co-curricular activities including new student orientations, networking and interactive engagement, leadership development, cultural and performing arts, community volunteerism, sports and other interest groups. Kaplan offers career-related services such as networking with potential employers, resume and interview skills, career workshops and others, all to enhance the employability of their students when they graduate. "We have dual goals at the heart of our pedagogy and reflective of our mission to help students achieve their educational and career goals. In essence, we need to ensure graduates of Kaplan can succeed in both further undergraduate studies with our esteemed transnational University partners from the UK, Ireland and Australia, but also in the industry should they choose to use our qualifications as an exit point and take up a role within the industry," opines Leon. Known as the Kaplan Way for Learning, the proprietary Kaplan-wide student-centred pedagogy teaches the student to take ownership of their learning and act on that beautiful intrinsic quality of curiosity in all of us. At Kaplan, students will prepare, practise and finally perform for mastery of the learning outcomes. "What we have done is to modify our instructional design approach based on what is known about learning from cognitive science, which puts much more focus on student practice," explains Leon. Kaplan Singapore has a dedicated department named "Student Affairs and Graduate Services Office (SAGSO)" that aims to spice up students' learning experience with the institute. Under SAGSO, they have various students clubs and communities that Indian students could join and connect with the rest of the students. Some of the examples of student clubs are Photography, Basketball, Music and Arts Society, Tennis, Badminton and many more. Ultimately, Indian students can look forward to a quality education at Kaplan in Singapore with the opportunity to interact and network with students from diverse backgrounds and nationalities. Given Singapore's strategic location in Asia and its diversity, students can live in a vibrant city and learn in a convenient and comfortable campus environment at Kaplan, located in the heart of the city. "Education is an invaluable investment and we encourage students to always strive and work hard for their education to attain good academic performance in return for a rewarding career opportunity. We have been actively looking for partnerships to collaborate with Indian institutions in the areas of articulation. It is our plan to have Indian students a pathway to articulate to our programmes at Kaplan in Singapore," concludes Leon. With two decades of experience as an educator and a successful entrepreneur, Leon is an advocate for educational innovation and the creation of new markets to help more people gain access to quality education. Leon joined Kaplan in 1998, initially to oversee program management and corporate operations. Over the years, his portfolio expanded to include university relations, strategic alliances, institutional branding, student recruitment and business development.Leon graduated with a Master of Art (Communications Management) from the University of South Australia, where he earned a coveted place on the Chancellor's List based on the number of distinctions achieved.